Toilet bowl choking is one of the most common problems that many property owners in Singapore face. This is a problem that happens when there is something that is very big to go through the pipe when the toilet is flushed down. At times, it can be caused by simple things such as excess toilet paper or even an object that is flushed by mistake down your toilet. These are just some of the common causes of a toilet choke, but no matter the cause, the effects are the same. When your toilet has this problem, it fails to get rid of the water and other debris in the bowl as it is required. The water in the toilet bowl may rise and at times it may even spread across the floor. It is also good to note that when your toilet bowl has a choke, the flush water from its tank does not have any where it can go. Flushing your toilet will not generate enough water power with the ability to clear the trap making it to flow up again. Knowing how to repair toilet bowl choking is very vital, because you reduce a lot of problems that arise as a result. To assist you in the process, here are some of the ways on how to repair toilet bowl choking. The first step when doing the repair is to shut the-water flowing to the-toilet immediately. This is done by-turning a small knob that is located on your wall-behind of toilet. When you turn it, the water will stop flowing into your toilet. In addition, this helps stop extra water pouring through from the bowl. It is also advisable to take up the necessary step to clean the water from flow before you can attempt to fix your toilet. This will go a long way in helping control water damage that might affect your entire home. You have dealt with the potential threat posed by the water leakage and water damage, it is now time to get all the materials you might require to repair the toilet bowl choke. Some of the most important items required to do the repair effectively include a hanger wire that is unfolded, a toilet plunger and a drains cleaner. And Should also have a bleaching cleaner, gloves as hygiene purposes and a bucket. In case the water in your toilet’s bowl is almost close the top, you can place old towels around the toilet bottom to reduce the mess associate with repairing the toilet bowl choking. Depending the debris or item that is lodged the toilet, you amclear the toilet bowl choke by snaking those pipe. Try as much as you can to break up the debris or try dissolve debris. · The first thing to do is to remove toilet-tank lid. · Use bucket as can get rid of all the excess water’s from your toilet bowl in order to control spill’s during toilet choke repair process. You can dump the water outside or put it into another toilet in your home that is functioning well. 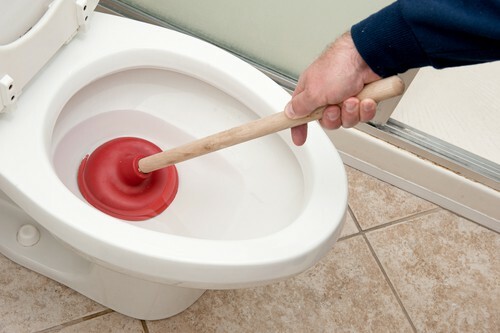 · You can make use of the plunger as you try to remove those clogging. Place its base around toilet draining perimeter inside bowl. · Apply a steady, slow up ward and down ward motioning with plunger continuously for about twenty to thirty seconds. · Remove plunger slowly and just step yourself might help resolve the problem completely. If it fails to do so, you should considering repeating those step many times before you can move other steps. · In case the toilet bowl choke is not resolved, you can make use of the hanger wire to snake your drain. Do this by running the wire’s goes down in to the drain as far it can move. Apply a gentling circular motion to help loosen those clog. · If problem still persists, you need to follow the guidelines found on the bottle for drain-cleaner. Most of these cleaner might be harder to your soft skin, therefore make sure you wear those rubber-glove before you handle the drain choking cleaner. You will know that you have succeeded to repair the toilet bowl choke, when you note that the old water that was still has started going down the drain. Your toilet should also begin to flush normally when the choke is fully repaired. For stubborn clogs, it is advisable that you repeat the plunging process repeatedly in order to succeed. The above skills will help you repair the toilet bowl choke in an effective manner. However, there are situation that you might require the help of a plumbing service in Singapore to resolve the problem amicably. There are many toilet bowl choke removal services or plumbers in Singapore, so getting one should not be a big issue. Calling a plumber to handle the situation is necessary because they have great skills required to resolve the problem fast. 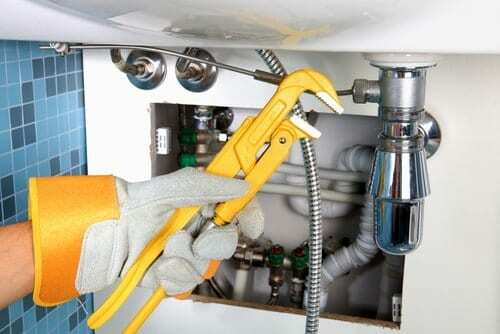 A Singapore plumber will apply different techniques to repair the choke. A snake is one of the tools used in repairing the chokes. It helps break up the lodged object or allow it to be pulled out of your toilet. Note that when your toilet bowl has a choke you might not be able to use the toilet. In addition, the uncontrolled flow of water might cause severe damage to your property. Therefore, immediate help is required. To ensure that you get the best services at all times when you face similar problem, hire a Singaporean plumber offering 24 hour emergency services. 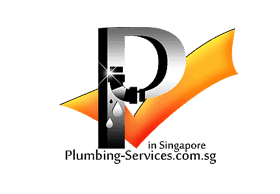 Look for a plumbing service Singapore located near your property to ensure that you can access them any time you need help. In addition, make sure that you work with a plumber with great reputation and experience in dealing with toilet bowl choking repair and other services.